As well as the big Show Gardens at the RHS Chelsea Flower Show which I featured in yesterday’s post, there are also some smaller gardens. These are the Urban Gardens and the new category, Artisan Gardens, which has replaced Courtyard Gardens. Today’s post shows a selection of both these categories, starting off with five of the seven Artisan Gardens. 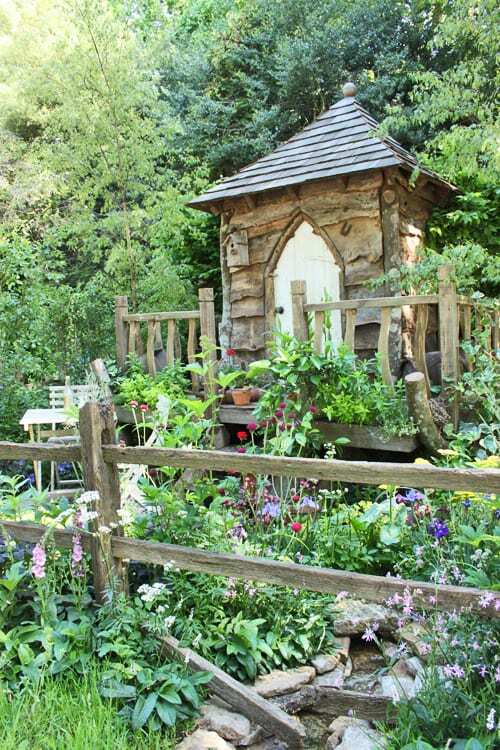 Winning a gold medal and the Best Artisan Garden award was Jihae Hwang’s Hae-woo-so (Emptying One’s Mind) – a beautiful vintage-look garden filled with wildflowers, which is shown in the image above. One of my favourite’s though was A Postcard from Wales by Kati Crome and Maggie Hughes, which also won a gold medal. I think it must be the coastal feel that this garden has with its little boat and beachcombing treasures that I find so attractive, plus the beautiful planting. 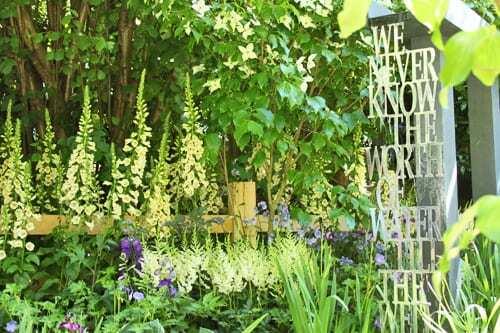 A Literary Garden, designed by Martin Cook and Bonnie Davies, was very popular with visitors. This silver-gilt winning garden is intended to be a poet’s retreat with verses and poems on a sundial, bench and water feature. Designed by Ysgol Bryn Castell & Heronsbridge School Horticulture Students with Anthea Guthrie was A Child’s Garden in Wales which won a silver medal. 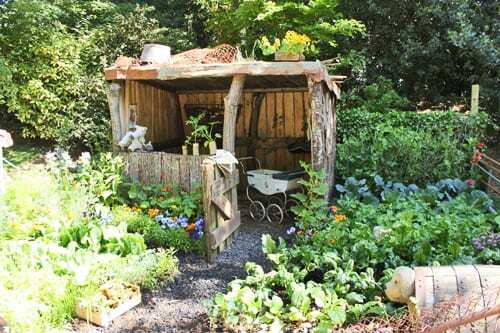 It’s a lovely ramshackle garden with fruit, vegetables and flowers – including some on top of the pit pony stable! 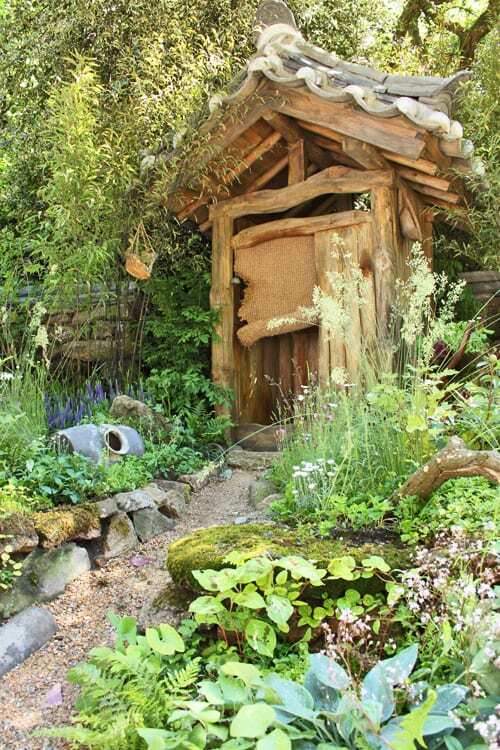 Stephen Hall designed Fever-Tree’s enchanting Tree House Garden and it won a silver medal. The garden was inspired by the natural ingredients that go into Fever-Tree’s range of premium natural mixer drinks. 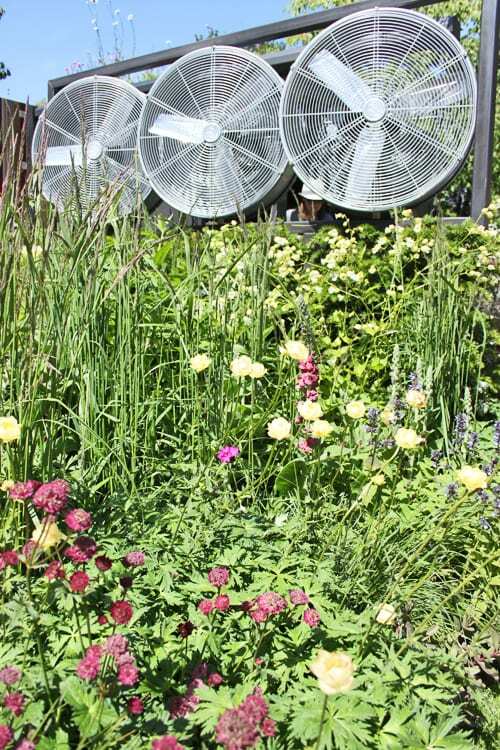 There were eight gardens in the Urban Gardens category and the winner of the Best Urban Garden award, together with a gold medal, was Winds of Change. The garden was designed by Jamie Dunstan and had a very much industrial feel about it. The other Urban Garden I’ve featured is such a fun garden. 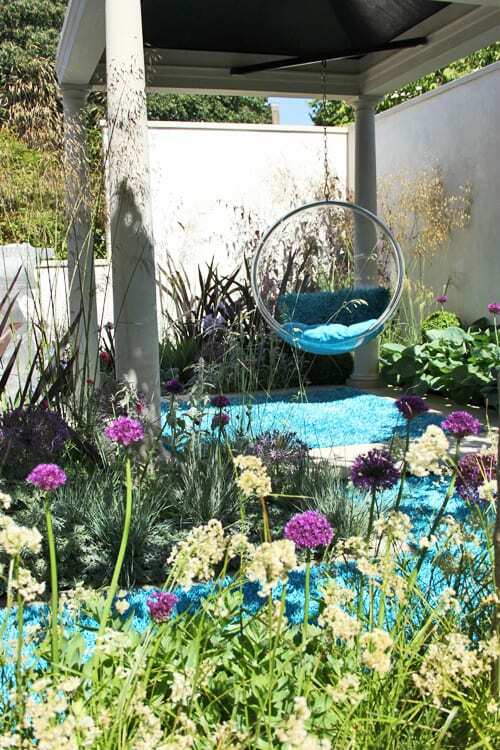 It’s The Chilstone Garden, designed by Heather Appleton and it won a silver medal. When I saw the turquoise carpet on television, I wasn’t quite sure about it…however it definitely works in real life. Heather designed the garden with the workaholic urbanite in mind and it’s a relaxing space in which to unwind. 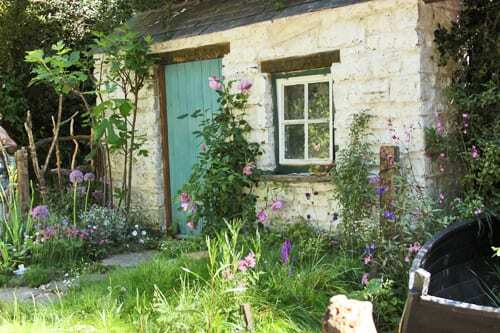 So that’s my highlights of the Artisan and Urban Gardens…do you have a favourite? Tomorrow, I’ll post some images of the wonderful flowers in the Great Pavilion. The garden designed by Heather Appelton, was very special! Hi Christina. It certainly was very eye-catching!